At Chocolate Films, we spend so much interesting time shooting documentaries in galleries and with artists. We thought we'd share some of our favourite art documentaries, enjoy! Picasso, medieval architecture and Howard Hughes seamlessly combine in Orson Welles’ essay about the value of art and the role of the artist. Frederick Wiseman’s observational doc about the National Gallery takes you inside and behind the scenes of one of our favourite London spaces. This is a truly amazing film about the early days of graffiti in 70s New York where street artists face off with Mayor Koch. After watching Banksy’s meta-doc about Mr Brainwash would be the ideal second film in a double bill. Street Art has never felt so self-conscious or commercial. 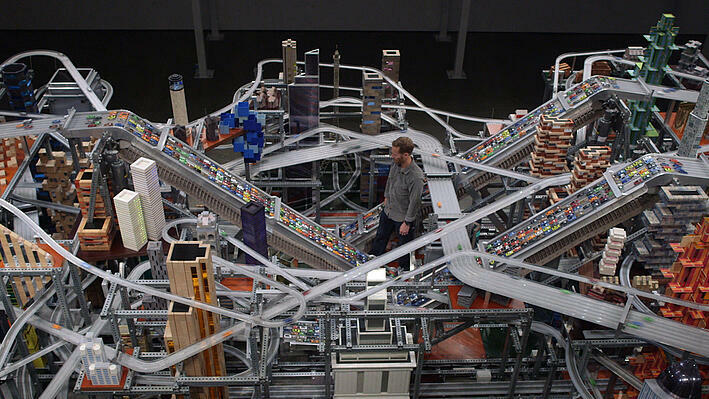 A look at the American artist Chris Burden made by a former Chocolate Films filmmaker. See Scalextric become an art form. John Berger’s magnum opus about how we look, read and encounter art. Ironically, copyright issues have made the film difficult to see. Many of us will recognise the iconic work of Jean-Michel Basquiat, but do we know his path to stardom? Through insider interviews and archival footage 'Jean-Michel Basquiat: The Radiant Child' tells the story of a successful black artist who was constantly confronted with racism and misconception. Exciting documentary exploring how renegade artists taught the City of Los Angeles to love Modern Art. One of the worlds most influential painters gives us a glimpse into his studio and way of working, it gives new life to the term ‘watching paint dry’. A beautifully composed examination of Art Commentator Paul H-O's relationship with world renowned photographer Cindy Sherman. The film by Sophie Fiennes cinematically explores the unique creative process of German artist Anselm Kiefer. Going beyond his expansive paintings it lets us into the personal universe he has built at his hill-studio estate in the South of France.